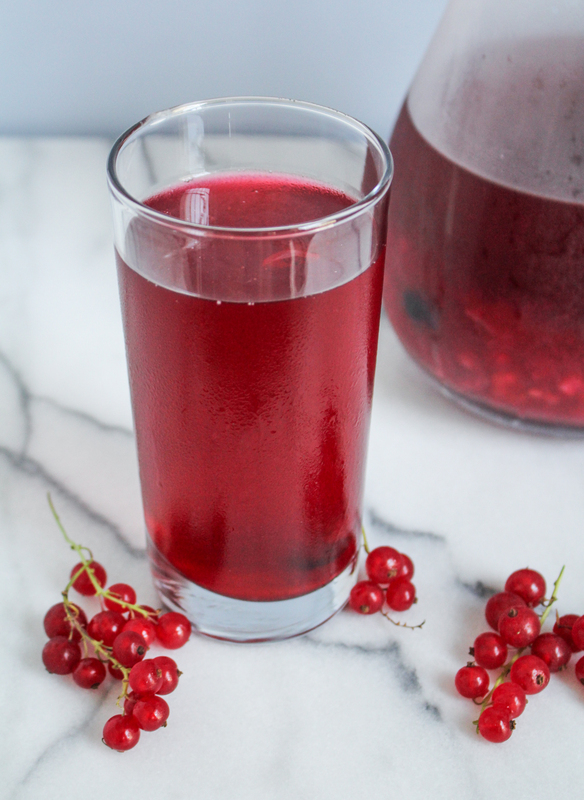 I think kompot might be tied with lemonade for the ultimate summer drink. 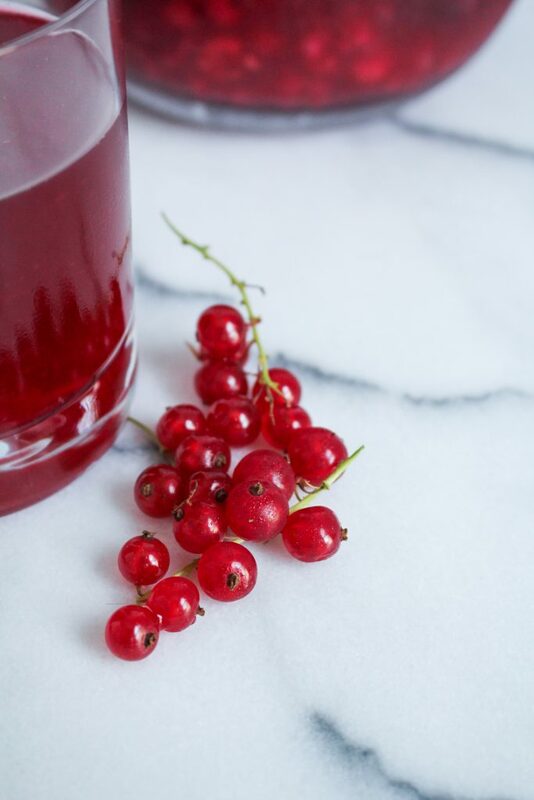 It’s sweet, tangy, cold, and fruity – the perfect thirst-quencher when you’re parched but water won’t quite do the trick. It’s very simple to make. While in Russia I had it made with pretty much every possible combination of summer fruit, so you don’t have to worry too much about the ingredients – you can make it with whatever fruit you have on hand. 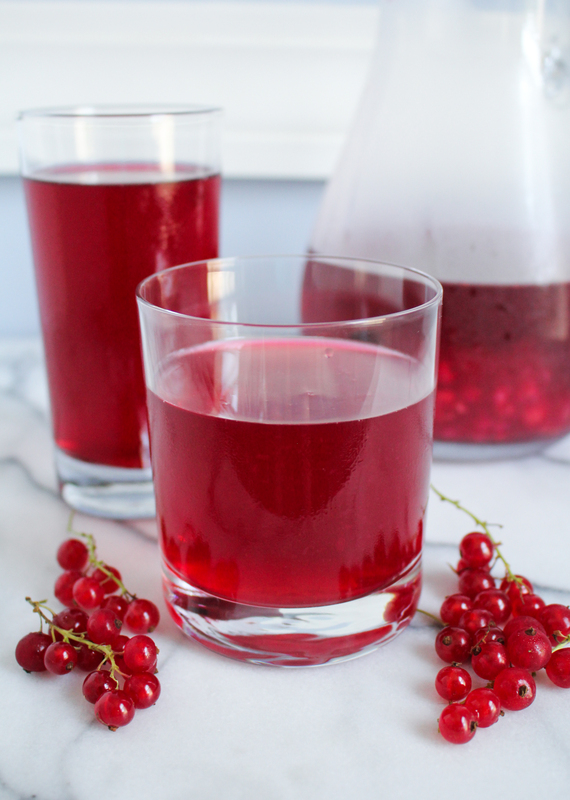 But my favorite version is made with red currants, a fruit that I will always associate with Russian summers, so that’s what I’ve made here. 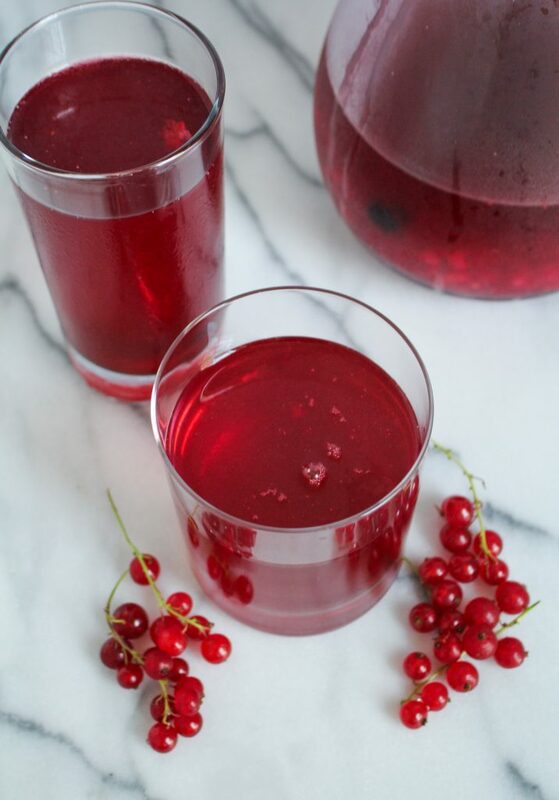 Add the berries, currants, and water to a large saucepan. 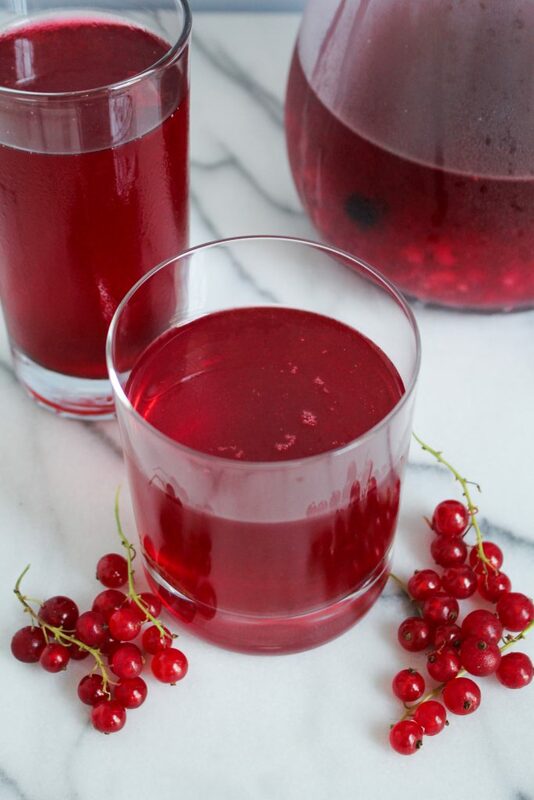 Bring to a gentle simmer over medium heat and simmer for about 5-7 minutes, until the water is deeply colored and the berries have just started to break down but have not lost their shape. Remove from the heat and stir in the sugar until it is dissolved. Taste and add more sugar if desired. Let the mixture cool to room temperature, then pour the juice and approximately half of the fruit into a pitcher and refrigerate until thoroughly chilled. (Reserve the remaining fruit for another use, such as topping ice cream or yogurt). Serve cold. Berry cool….get it?! :) I love how every country has their version of summer fruit drinks. The color of this one is gorgeous!